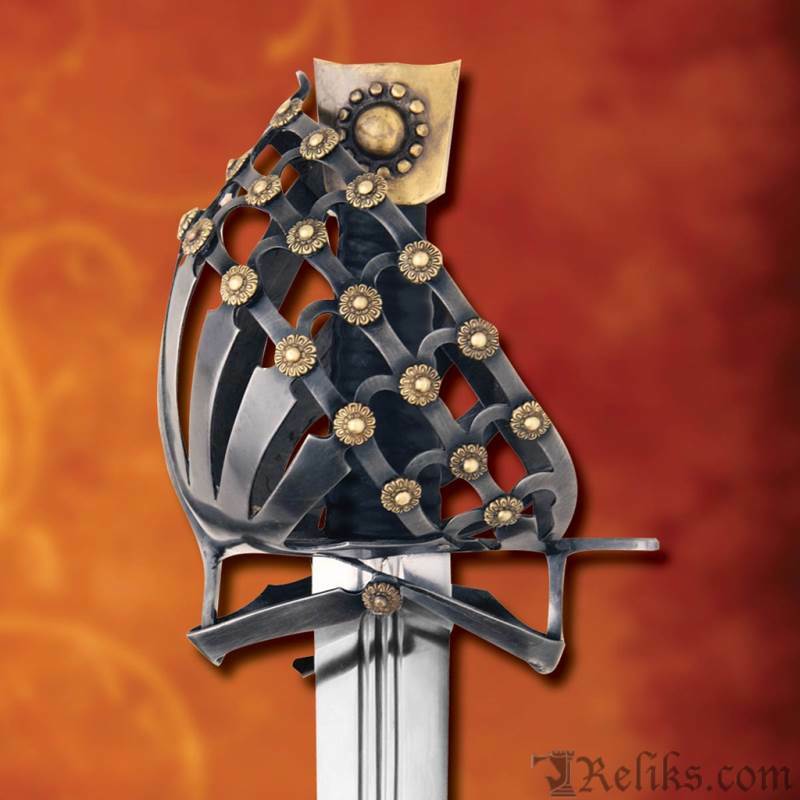 The magnificent Schiavona style sword was quite popular throughout Europe, however, it was the favorite weapon of choice for Venetian mercenaries. 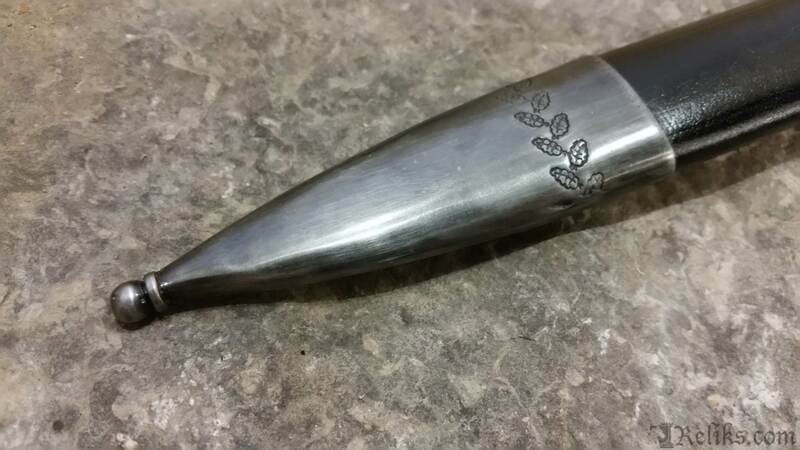 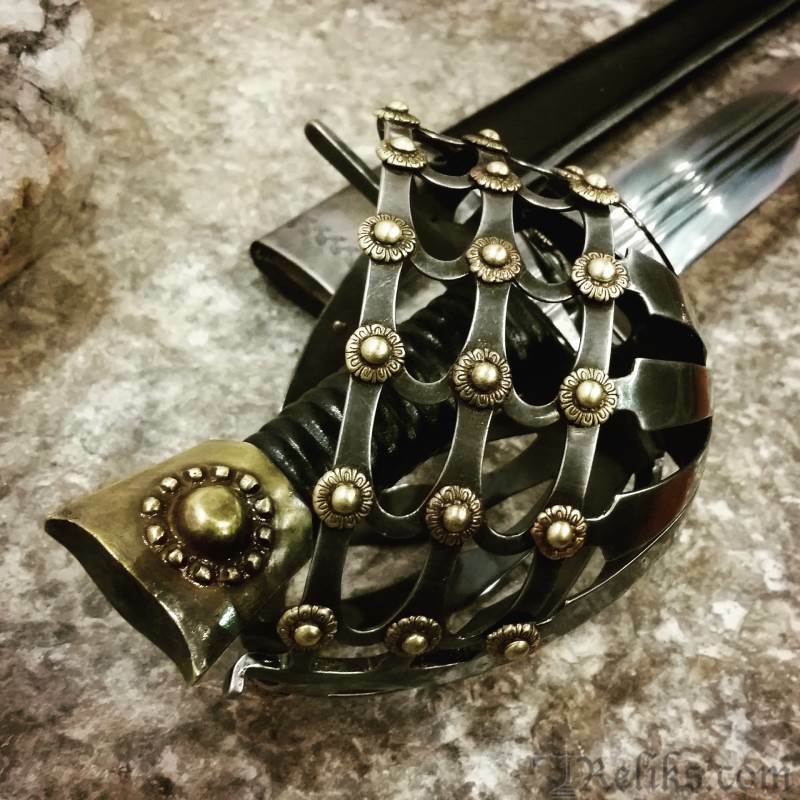 Our version, hand forged in high carbon steel, is a true work of art. 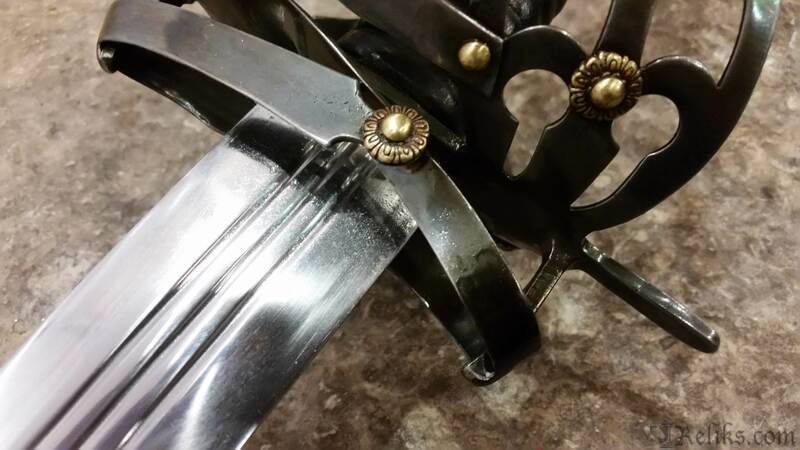 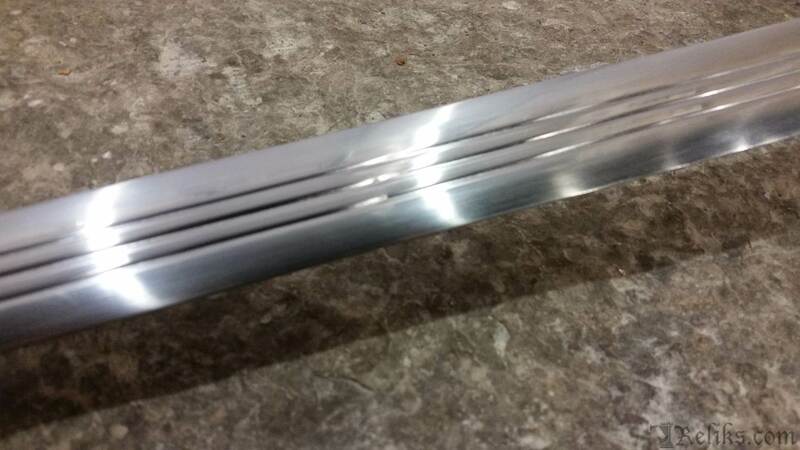 The guard and scabbard fittings have been darkened to a battle finish. 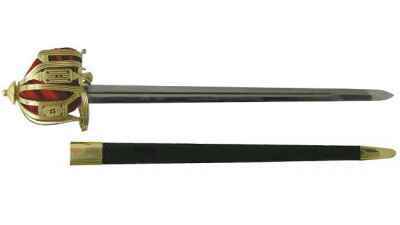 Soft, rich black leather wraps the handle and an antique brass pommel finishes off the grip. 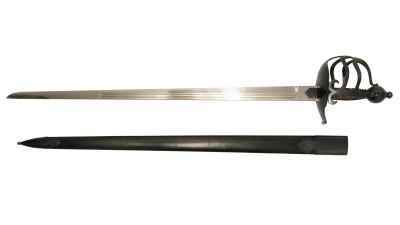 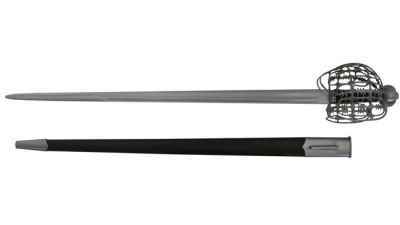 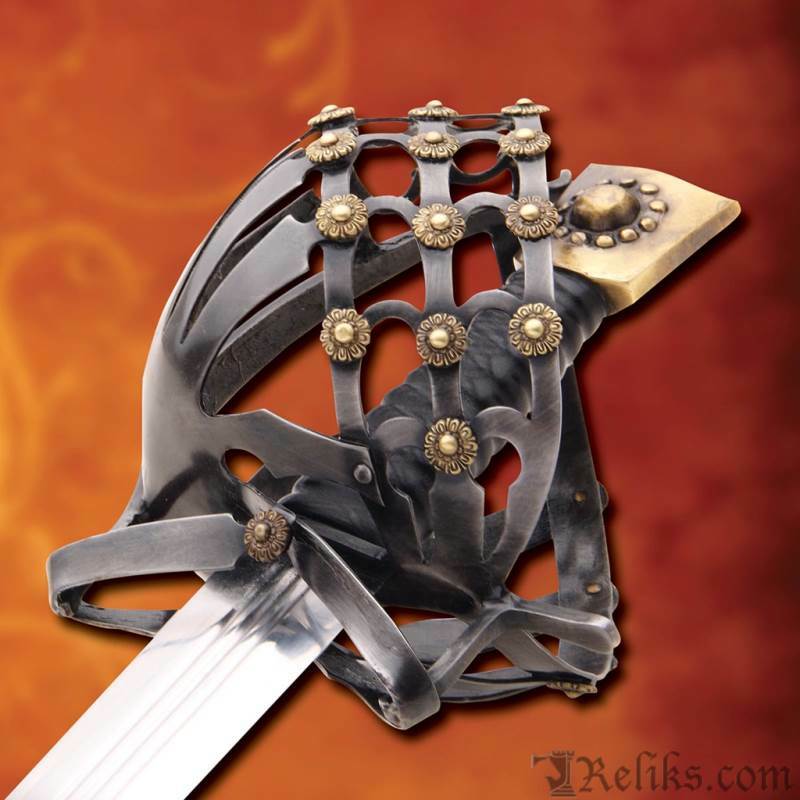 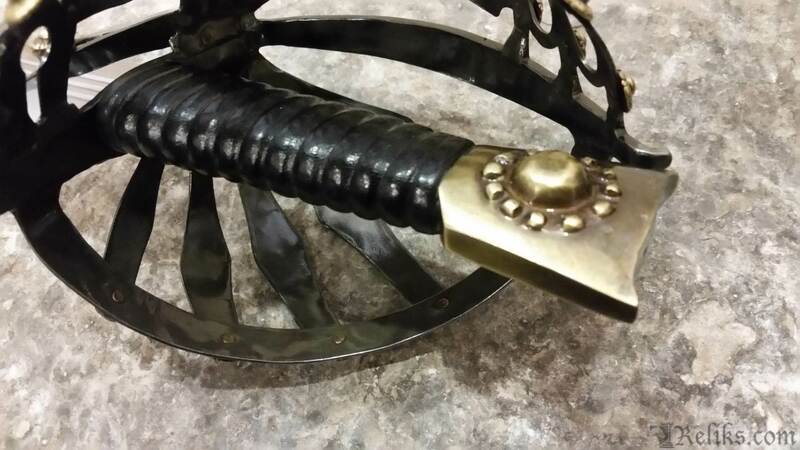 However, it is the 26 intricate, antique brass florets adorning the half basket hilt guard that truly enhance this sword. 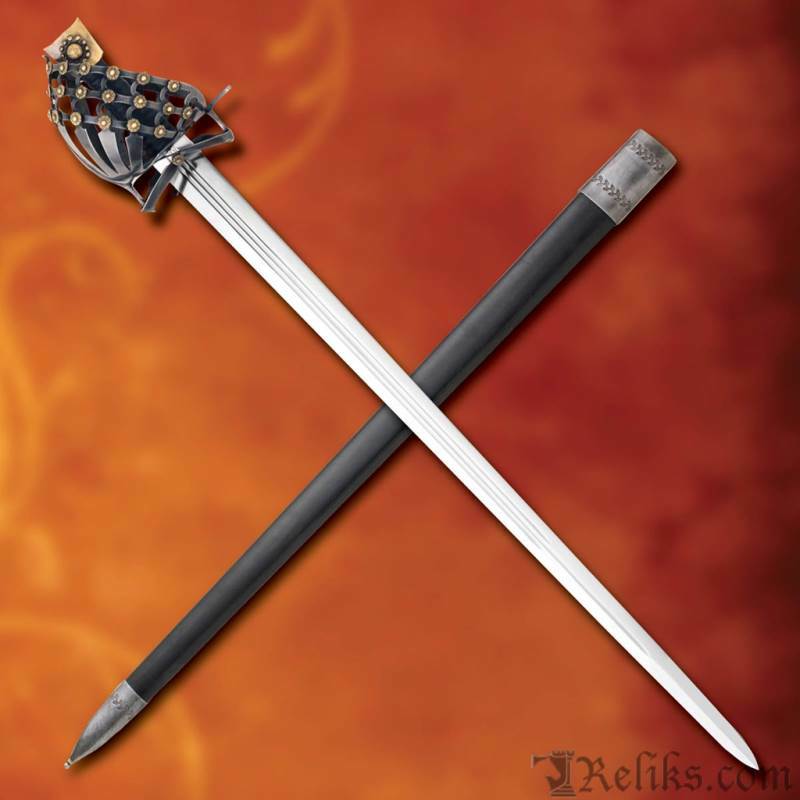 A floral engraving on the throat and tip of the black leather scabbard are beautiful finishing touches. 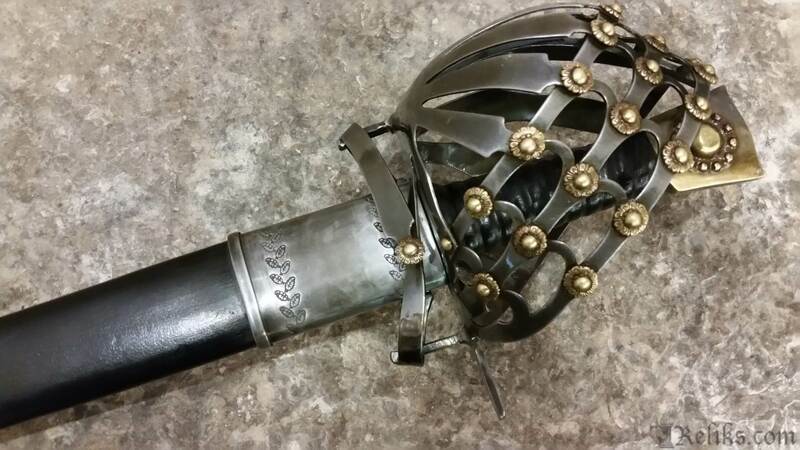 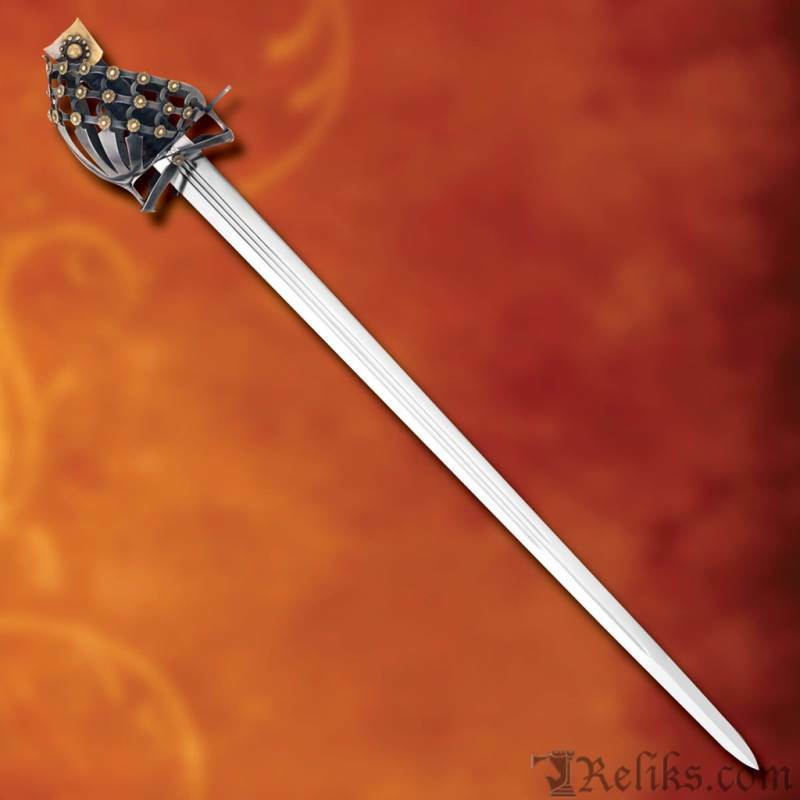 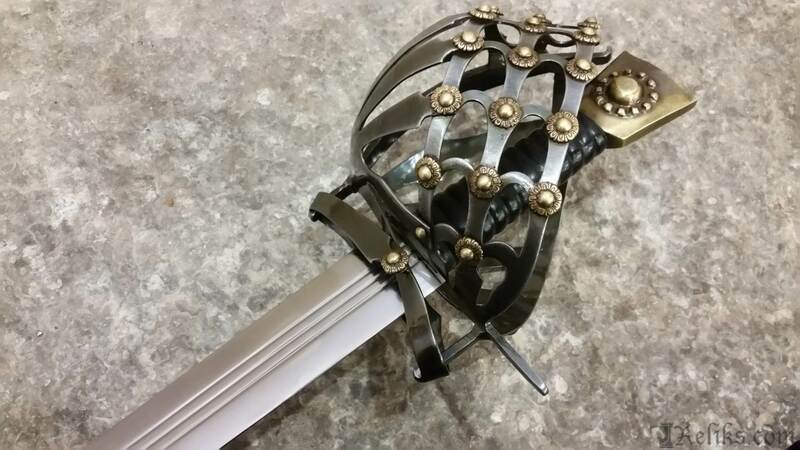 Schiavona Broadsword - The Mercenary Schiavona with 26 brass florets. 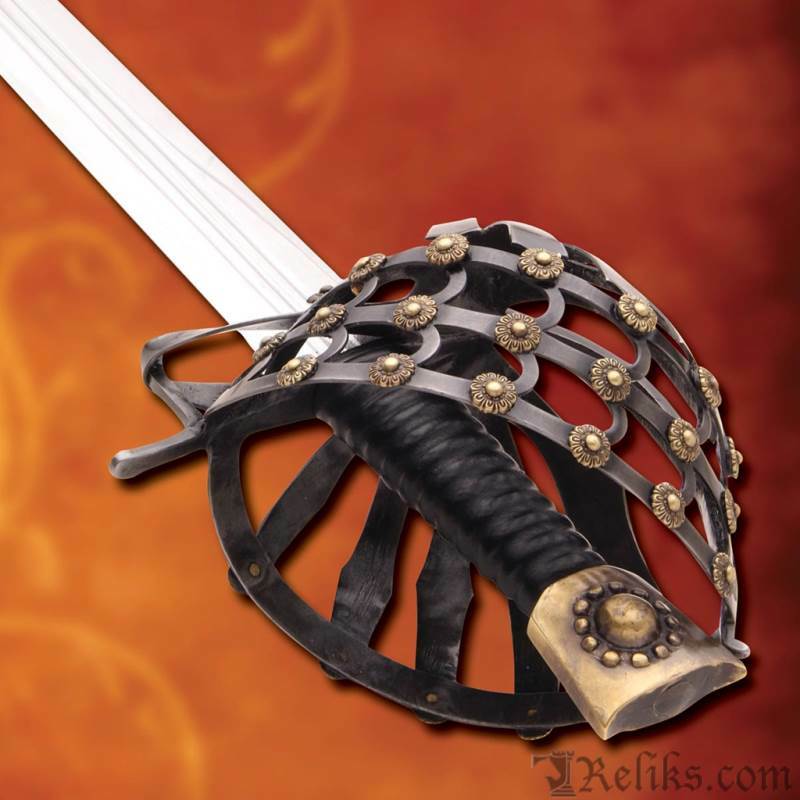 Sciavona Half Basket Scabbard - Functional Schiavona sword shown with leather scabbard. 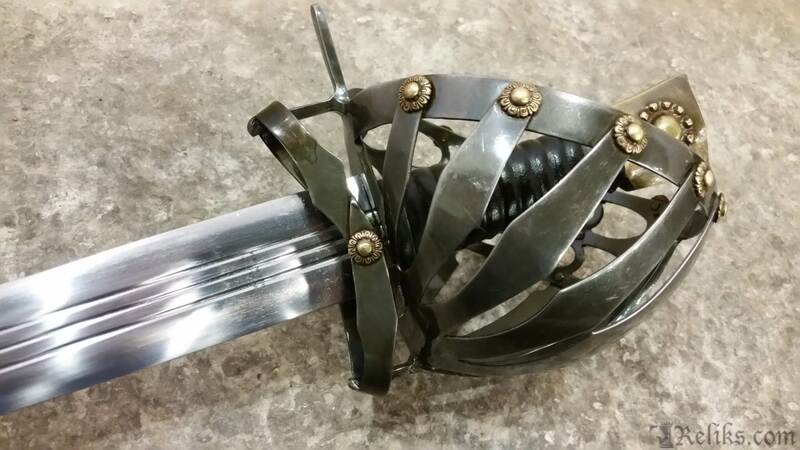 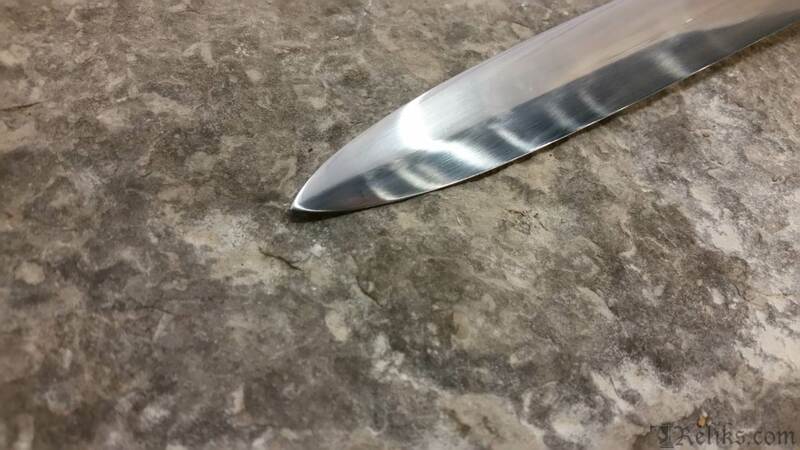 Mercenary Schiavona Blade - The Schiavona with a hand forged 1065 high carbon steel blade. 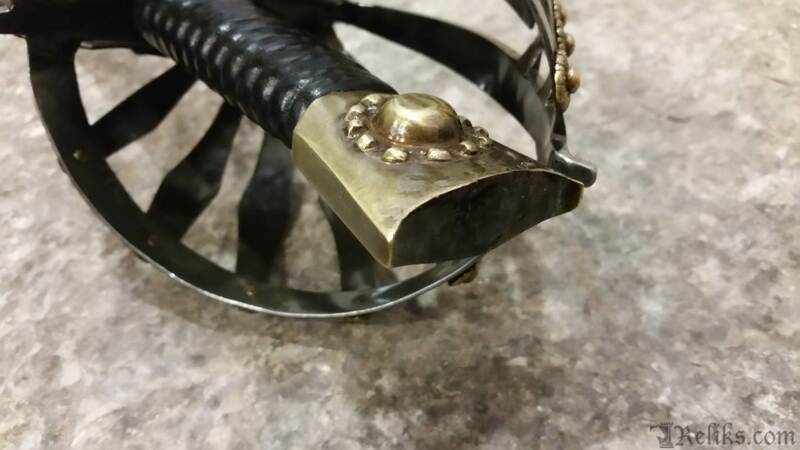 Schiavona Basket - Basket of the Mercenary Schiavona.